"don gold teeth in the style of rappers from the Los Angeles suburb of Compton, eat watermelon, and dress in baggy athletic wear." What next followed were protests by African Americans and their allies of all racial backgrounds, enflamed by a campus new segment parodying the protest of the cookout by using the racist "n" word, followed up by a noose found hanging in the campus library, and then by students who had it up to HERE at this point with all the racist b.s. occupying the chancellor's office and holding a number of protests, class walk-outs, and teach-ins. The noose is a symbol of racism. It is a racist symbol. It is a symbol that conjures up centuries of racial violence enacted against African Americans in this nation by white supremacist forces. It was used, quite literally, during the reconstruction and post-bellum era as a means of domestic terrorism and violent control. There is an entire history behind the symbolism of the noose in American history directly tied to the experience of being black in America that means if you didn't know this history, well, you should. Your education is far too incomplete. Which is why there is a need for February to be recognized as African American history and culture month. It is why if I were ruler of the world, there'd be a mandatory black studies class at some point during every K-12 student's life. "he took heart at the protest’s cross-cultural flavor. “I knew the minority population was low here, but I didn’t think racism was so high or rampant,” he said. “But now, in response to what happened, this is what we should see.”"
About a year and a half ago, I wrote about the need for more people, especially ethnic and racial minorities, to join the National Bone Marrow registry. Now, I'm once again making a personal appeal to all people, but especially to those of you who are of Asian ancestry and even more especially of Chinese heritage to join. Two weeks ago, my aunt "T" was diagnosed with acute myeloid leukemia. 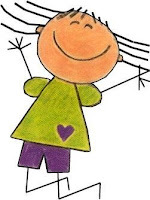 She just discovered that she will need a bone marrow transplant. My family members are all being typed as we speak, but in the event that none of us are a match, it's important that they find someone in the national bone marrow registry. Ethnic and racial minorities are very underrepresented in the national registry--so if you identify as an ethnic/racial minority and are interested in joining, you can go to this link for the Asian American Donor Program and request a kit. Anyone of partial ethnic or racial minority status will have their kit provided to them free of charge. Normally it is about $100 for a kit--the money used to offset the cost of processing the cheek swabs. I know in this day and age we talk about race being a myth, a social construction and we talk about how genetic variance within a racial group is greater than between races--that there is no link between genes and race. But I think when it comes to matching for something like bone marrow, what does matter very much is family. The family link in terms of genes and bone marrow and blood typing. This is why siblings are always a better match for someone than a spouse or parent or child. My aunt's siblings (including my father) are all waiting for their results, and I'm truly hoping one of them is a match. But if that doesn't happen, the next best thing would be to find someone of Chinese ethnicity who perhaps comes from the same region/family group as my family (Szechuan province, although my grandmother grew up in Shanghai). The process to be a donor is really very simple. It takes 5-10 minutes to watch the video on the donor website, about 5-10 minutes to fill out the paperwork, and 5 minutes to do the cotton swabs to your cheeks. The postage is paid for--you return the swabs and the forms and then you wait to see if you are a match. If you'd like more information on bone marrow donation, you can go to the National Marrow Donor Program. Please consider doing it today--it may just save someone's life, like my aunt. Lets see how old the average reader of this blog is: do you recognize the title of this blog post? Of course, maybe old school hip hop is the norm now so everyone will/should recognize this title. Anyway, I'm sitting at my childhood dining table back in the Bay Area of California. I know that I sometimes disclose personal information on this blog, although usually I try to do it within the context of a relevant blog post on issues of race/social justice. However, the truth is, I've had a terrible week. I mean, I know we all have them--terrible weeks. Weeks when you think, "Really? If one more bad thing happens or if I get more bad news, I'm going to throw up my hands and laugh/cry because what else can I do??!!" There were some things of a professional nature I had to deal with, that became political (as these things often do). And then a close relative was diagnosed with acute leukemia--which brings the cancer count on both sides of my family to 8. That's right--I have 8 relatives between both sides of my family who have had cancer diagnoses. The day after the news of the cancer diagnosis, I received news that a friend had passed away unexpectedly. And then a few days later my doctor told me that I had contracted mono (which explains, now, all those weird low-grade fevers I kept getting, which is why I went to the doctors in the first place). Now, I tell you all of this, not to generate sympathy for me or my family and friends, but to say that I have not felt like blogging. The mono, of course, doesn't help because one of the symptoms is that you have this continuous headache--and you can imagine what it's like to try to write and think with a constant headache. But honestly, I just haven't had the heart. Not to say that racial issues aren't important, but there are times, I think, when what is really important is something that seems very cliche: if you don't have your health, you really don't have much. Of course, the academic part of me wants to talk about health issues among racial minorities in this country and the difference that stress can make in your life, compounding whatever health issue you may have. But the further truth is that no matter what your racial or ethnic identity. No matter who you are, as human beings we are vulnerable to disease and to the mortality that will engulf us eventually. Wow, I know, that sounds really morbid/dire/depressing. I don't mean it to be. Truly. But it does make me stop to think about my own life: am I living the life I want to live. Am I doing the things I want to do. And more importantly, am I letting people who are important in my life know how important they are--do the people I love know how much I love them? I hope the answer to that last question is yes. That the people who are important in my life know and feel that I hold them in my heart. And I suppose that the last comment I will make in this post (and it may be a few days before I blog again, although who knows, perhaps I won't be able to help myself because, after all, Tiger Woods had his news conference yesterday, and then there's the tragedy of the IRS building in Austin, TX, and there are just things going on everyday that I'm bound to have an opinion about, being the opinionated person that I am). But I just want to say that I hope that all of you, dear readers, are healthy and that you are doing well, and that the people you love most in your lives know how you feel about them. After all, at the end of the day, these are the things that matter most. By now almost everyone in the U.S. (and I imagine quite a few people around the world) have heard about the tragedy at the University of Alabama at Huntsville. On Friday, February 12 at approximately 4:00pm CST, Dr. Amy Bishop, an Assistant Professor in the Biological Sciences Department took out a 9-mm handgun and shot at her colleagues during a faculty meeting. She killed three colleagues and wounded three others, including the department administrative assistant. What the news immediately latched on to was Dr. Bishop's tenure case--she had been denied the year before, had appealed the decision, and had apparently just learned on Friday that her appeal was also denied. There have been lots of coverage about the incident as it first unfolded and then as new twists emerged over the revelation that Bishop had fatally shot her brother in their Braintree, MA home when she was 20 and about a pipe bomb investigation she had been tied to over bombs sent to the home of her then post-doc faculty advisor at Harvard. Speaking of which, in almost every article I've read about this story, they all mention that Bishop has a PhD from Harvard. And I wonder at the insistence on her credentials--versus the absence of similar credentialing of any of her colleagues-victims. Are we supposed to assume that the juxtaposition of the words "Harvard" and "shooter" makes this more titilating because someone with a Harvard PhD couldn't possibly murder anyone or be mentally unstable? Anyway, what I really want to write about is an issue that no major newspaper or magazine has discussed yet--which is the racial profile of the faculty members that Bishop targeted. I recently looked at the department webpage and counted fourteen current faculty members (emeritus professors are, essentially, folks who have retired). Of those professors, five are people of color. Of the six people that Bishop shot, four are people of color. Which means Bishop shot four out of the five faculty of color colleagues in her department. WTF? These things happen? Murdering your colleagues? It wasn't an accident--and taking a shot gun to your brother also seems very suspect. As for the remark that they "happen to people we least suspect they could happen to"--is that because Bishop is a woman, came from a middle-class home, was educated at Harvard? Or is it that we are surprised because she's white? And should we start to racially profile female white science faculty at universities? First of all, I don't think you should racially profile anyone, but lets be honest, NO ONE is going to jump to the conclusion that we should be more nervous around white female professors on college campuses--unlike some of the xenophobic reactions that occurred around Asian American male students post-Virginia Tech. I just wonder, is anyone in the mainstream media going to note the startling image of this white woman shooting and killing her faculty colleagues of color? Is it really just a coincidence? Yesterday was both Valentine's day and the first day of the Lunar New Year (or as we celebrated it in my home, Chinese New Year) and it is the Year of the Tiger, or more specifically, the "Metal" Tiger (every year is also linked to one of five elements: earth, fire, water, metal, air). You can read more here about what this Metal Tiger year has in store for us. 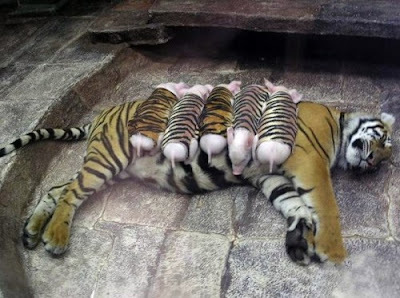 And when I was searching for an image to go with this blog post, I came across the one above--which I had seen before attached to a story (which turns out to be bogus/a hoax) about a grieving Tiger mother who had lost her cubs and was dying and so they gave her these piglets to raise. Well, it turns out that the Tiger above, Saimai, just raises these piglets and interestingly enough, she was raised as a baby cub by a sow -- you can read more on this blog post and you can also see that the Si Racha zoo in Thailand likes to engage in cross-species care (click here). I think that for a blog called Mixed Race America, celebrating the Year of the Tiger with images of tigers and pigs caring for one another seems to be the best way to start the new year. So Happy New Year! The 2010 Winter Olympics in Vancouver, WA [I mean BC! Woops! Brain fart--thanks for the catch Taavi--10:48pm] begins today. I confess, I am a figure skating fan (we can thank/blame my mother!). So when I started to hear about the controversy over the reigning world champions, the Russian ice dancing pair, I was curious. Apparently aboriginal groups in Australia have been protesting their routine, lobbying the Olympic committee to ban them from performing their routine because it was insulting to aboriginal people. Now, one of the things you have to know is that all the pairs competitors around the world had to develop a routine for their national finals around the theme of "folk dance or ethnic dance." OK, right THERE is the root of the problem. Because it's a fine line between honoring a folk or ethnic tradition to parodying that tradition, especially if this is something you are learning rather than something you were raised with. Yes, it IS that bad. I mean, when I read this article, I thought, wow, how bad could it be--the picture sure is bad. But then you watch the above clip and you think, WOW it's cringe-worthy bad, it's insulting, racially insensitive, parodic, and just plain BAD. Apparently the skaters hired an Indian choreographer who had worked in Bollywood films to help them with their movements and in the article I linked to above, they were very careful to say that they wanted to be respectful of Indian culture and to create a performance that would be aesthetically pleasing in the vein of Indian culture but also authentic. And I guess one question I have is, how authentic can any of these skaters actually be? I mean, I'm not trying to quibble for the sake of quibbling--we're talking about ice dancing after all--not exactly a natural thing. And I do think it was smart for them to hire someone who knows Indian culture intimately and who could provide them with some guidance. But is this authentic? And is this appropriation? I mean, clearly the Russian pair is completely and clearly inappropriate, but the American pair? What do you think? When is it a stereotype and when is it just you? Let me first begin by saying that I am not on the payroll of Doubleday and Colson Whitehead's agent is not paying me to plug any of his works on this blog. But I have just finished reading his latest novel Sag Harbor, and if I weren't convinced that he was one of the most brilliant contemporary voices in American letters, this novel would clinch it. But this isn't going to be a book review (although one will be coming). I introduce his latest novel because I want to quote from a long paragraph since it really got me thinking about stereotypes--about how we learn stereotypes, how they get perpetuated, how we try to resist and defy them, and what we do when we find ourselves paradoxically in a situation where we know our actions or clothing or speech may be perpetuating stereotypes yet none-the-less we are being authentically ourselves. Whitehead's passage reminds me of a story that my friend "M" told me. "M" is African American and this exact scenario happened to him--he was headed to a bbq, asked to pick up watermelon, and while walking from the supermarket to his car encountered a black friend who pointed at the watermelon, and they both laughed. So it got me thinking. I mean, "M" likes watermelon. Is he supposed to not buy watermelon or get a non-black friend to buy watermelon for him because he doesn't want to be perpetuating stereotypes? I sometimes think of these things, especially when I find myself either in Chinatown or during my one trip to Hong Kong. 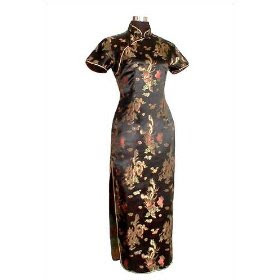 There are these beautiful dresses, cheongsam, and I thought of buying one. But then I thought, when would I wear it? So I have never bought one, although I'd like to. I just can't envision a place where I'd feel comfortable wearing it. It's a special-occasion type dress, evening wear. When I first got married (and I mean my first marriage not my impending one), I contemplated changing into one after the ceremony, a typical move that Chinese/Chinese American brides often make--wearing a western gown for one portion and a traditional gown for another part of the wedding. But honestly, now, especially in the South, would I really wear this to the English Department holiday party? Wouldn't I just be wearing a sign saying, "My name Suzy Wong. I good girl" (is everyone old enough to get that reference? It's a PG reference, I figure you can use your imaginations to imagine other versions). Anyway, I'm wondering, dear readers, if there are any things you avoid that you genuinely like to do in order NOT to feel like you are perpetuating a certain stereotype about your ethnic or racial group. And most especially, I'm wondering, are there things that white Americans avoid because they don't want to be stereotyped as...white Americans? Would a middle-aged white American man avoid buying a maserati even if he wanted one because he didn't want to be a walking cliche? I suppose I could say I avoid wearing tweed jackets with leather patches on the elbows, but the thing is, I'm so NOT what one has in mind when you are asked to envision a college English professor that I think me wearing this outfit would be seen as ironic rather than stereotypical. In the different blogs that I periodically read, there are often debates about how appropriate it is to show your love and respect from a culture/ethnicity not of your own heritage. When does your fondness cross a line from appreciation to appropriation? I was reminded about these kinds of conversations and debates when I first heard about Scott Fujita [tip of the hat to Angry Asian Man]. Fujita is a linebacker with the now Superbowl champion New Orleans Saints. 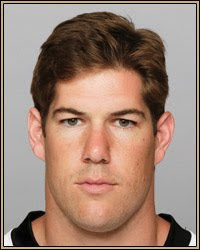 And while it might be surprising that someone with the last name Fujita is large enough to be a lineman, what is more surprising is that Fujita is the adopted son of a Japanese American man and a white woman, with no biological or genetic ties to Japanese ancestry whatsoever. Yet, in countless interviews he has claimed that while he may not look Japanese or be biologically Japanese he identifies with Japanese culture and feels Japanese. Or, as he says in this piece below: he is Japanese in his heart. What I find most intriguing about Fujita isn't just his cross-ethnic identity, it's his fight for social justice issues, especially ones that do not seem to be part and parcel of being an NFL player. Like his support of LGBTQ issues (last year he supported the National Equality March) and against anti-choice activitsts, most recently he spoke out very directly but respectfully against the Superbowl PSA sponsored by Focus on the Family that had an anti-choice message at its heart (click here and here to read about Fujita's principled stances). Perhaps it's being a graduate of Cal-Berkeley--after all, Berkeley, even if you're a walk-on football player, is still a hotbed of liberal-progressive-radical beliefs (at least most of the country would like to think so. I don't think's it's as radical as others make it out to be, although there was the Naked Guy who went to class there in the late 1980s, and that was definitely left of mainstream). But really, I think it was the example of his family and their internment during WWII. His grandparents married quickly in the days leading to Executive Order 9066 so that they wouldn't be separated when they put people in camps (unlike in Canada, the U.S. actually did try to keep families together, somewhat). His grandfather ended up enlisting in the famed 442nd regiment (the most decorated unit of its size with one of the highest attrition rates) and his father was born in Gila River Internment camp in Arizona. Because of the war, the Fujitas couldn't pay the mortgage on their family farm in Ventura County and lost it. As I've written elsewhere, the Japanese American internment is one of the most shameful and under-recorded/unknown points of American history. Scott Fujita clearly understands how his family has been impacted by the internment and clearly feels the injustice of what happened to his family. But what seems remarkable is that he also seems to have channeled that sense of injustice into a larger sense of social justice for others, as an ally. I know that there are folks from all ethnicities who will be troubled by Scott Fujita claiming a Japanese American identity. But take a step back and think about the radical potential of not just what his adoption shows but why he identifies as he does. His adoption of a Japanese American identity isn't just about eating white rice (as he says in the above video) or about having Asian aesthetic objects in his home (as this ESPN piece was surprised that he doesn't, until getting to his home office and seeing a large sculpture). Scott Fujita's adoption of a Japanese American identity seems as much rooted in a history of social justice causes as a celebration of culture, born out of his deep love and connection with his family. And that is, perhaps, what makes Fujita's identity of being Japanese American one that has transformative potential. Because it's not just about the food. In the articles and interviews done about him, it's clear that he understands that it's about the history. Fujita seems to really get that that because of what you look like or who you love or your gender you could have basic rights taken away and that's simply wrong, and this seems to be a lesson he learned, in part, from his Japanese American family. This really should NOT be a T.G.I.F. (The Great Impossible Feat). An Asian American playing Division I basketball. And yet, the number of Asian American sports figures who don't lace up skates is pretty small. [Aside: bonus points if you can actually name an Asian American skater aside from Michelle Kwan or Kristi Yamaguchi] Miniscule, in fact. And I do mean Asian AMERICAN--so you don't get to count Yao Ming or Hideo Nomo. So let me introduce you to Jeremy Lin. He is a senior Economics major at Harvard University, who grew up in Palo Alto, CA, the son of two Taiwanese immigrants who studied computer engineering (dad, Gie-Ming) and computer science (mom, Shirley) and is the co-leader of a campus bible study group. He also happens to be a point guard for the Crimson and is their best chance at a berth in the Big Dance (the NCAA Basketball championship), which the Harvard Crimson have not attended in 64 years. Most remarkably, according to Sports Illustrated, last season "Lin was the only player in the nation last season ranked in the top 10 of every major statistical category in his conference." Why haven't we heard of this stellar athlete? I'd blame it on a combination of his league (the Ivy League is not known for producing teams that play in the Sweet Sixteen, let alone the Final Four) and, most significantly, his race. "encounters racism at virtually every game on the road, whether it's fans yelling "Chinese" gibberish (Lin is not fluent in Mandarin, for the record) or opponents using the most vile epithets that can be directed at Asians." "[e]verywhere he plays, Lin is the target of cruel taunts. "It's everything you can imagine," he says. "Racial slurs, racial jokes, all having to do with being Asian." Even at the Ivy League gyms? "I've heard it at most of the Ivies if not all of them," he says. Lin is reluctant to mention the specific nature of such insults, but according to Harvard teammate Oliver McNally, another Ivy League player called him a C word that rhymes with ink during a game last season." Let me be clear. I don't find the racism that Lin encounters remarkable. Sadly, it doesn't surprise me. What I find remarkable is that both mainstream magazines actually invoke the big "R"-- racism. OK, Time doesn't say racism but they do describe Lin as being the target of racial profiling and racial harassment, still a remarkable accounting since we KNOW mainstream magazines don't like to talk about racial discrimination--and it's even more shocking that they are discussing it within the context of Asian Americans, because we KNOW that racism against Asian Americans doesn't get a lot of press nationally. For more on Lin, see this article in Hyphen magazine and this essay by ESPN. But to get back to Lin and his accomplishment, the fact that he is a strong student AND a strong athlete, and poised to be the first Asian American to be a draft pick in the NBA is certainly worthy of a T.G.I.F. award. Good luck Jeremy Lin! I hope to be seeing the Crimson participate in March Madness this year. Today is February 1, 2010, the start of African American history month. It also marks the 50th anniversary of the Greensboro sit-ins. And I should note that a new museum has opened in Greensboro, NC at the site of this protest, The International Civil Rights Center and Museum (click here for the New York Times review). I could say that in honor of this month I will be periodically writing posts that highlight African American history and culture. Although truth be told, I think I do that every month--which is, perhaps, part of what these heritage and awareness months (like Women's History and Culture month) are supposed to do: make us aware of the ways in which previously oppressed and marginalized people are actually not just on the periphery of U.S. history and society but an integral part of its cultural fabric. In particular, I think African American history and culture month affords us an opportunity to really try to understand the nature of racism as an institutional force--to really educate ourselves about race and racism and other aspects like white supremacy/white privilege. "I'm a proud racist. You're darn right I am!" "At the rally [against illegal immigration], Kellar recalled that Theodore Roosevelt once said the United States had room for only one flag and for one language — English. He said he mentioned the former president's comment at a City Council meeting several years ago. "The only thing I heard back from a couple of people was, 'Bob, you sound like a racist,'" Kellar told the rally. "I said, 'That's good. If that's what you think I am because I happen to believe in America, then I'm a proud racist. You're darn right I am.'" I'm sorry Mr. Kellar but within the context of your remarks, saying "I'm a proud racist" isn't negated or clarified but actually ENHANCED. So Mr. Kellar, this month is an opportunity for you to really understand how hurtful and ignorant and bigoted your declaration truly is. You may not see the link between African American heritage month and your statement and your intolerant stance on illegal immigration and your erroneous belief about language and nationality and who qualifies as an "American," but trust me, if you are serious about learning the lessons of what this month has to offer you, then you can climb your way out of the abyss of willed ignorance and into a more compassionate understanding of the intersectionality of race, racism, privilege, oppression, and U.S. history, society, and culture. Ahhh...wouldn't it be wonderful if Bob Kellar actually did this? In the meantime, we can all stand a little more education on these issues now and then. Because I believe it's never too late and you're never too old, and more importantly, you never KNOW enough about race not to learn more.